Maybe the boss was a jerk, or the kids decided to push one too many buttons, but it’s time for a little vino. 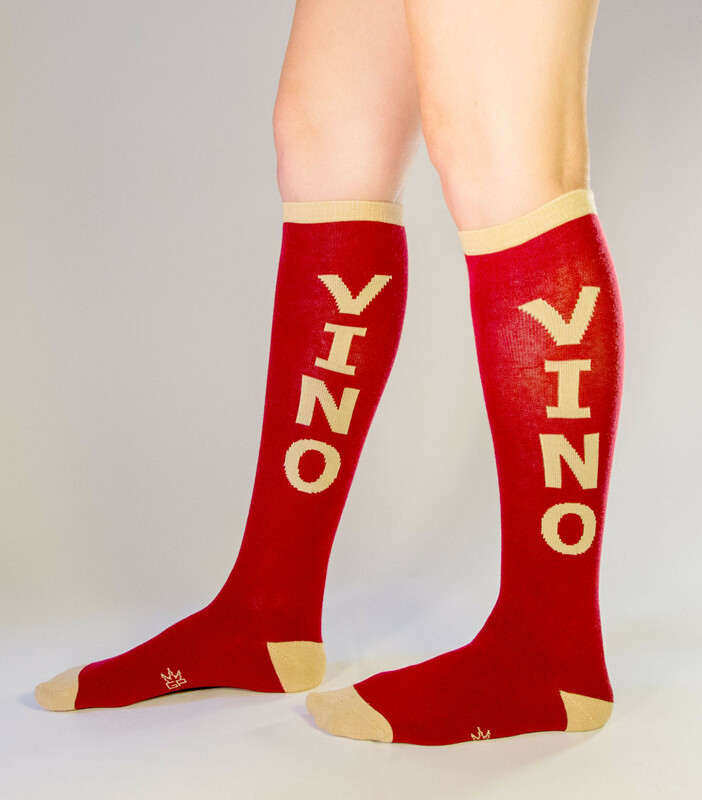 Vino Socks tell those you love that it’s time for a drink, so grab a glass or hit the road. 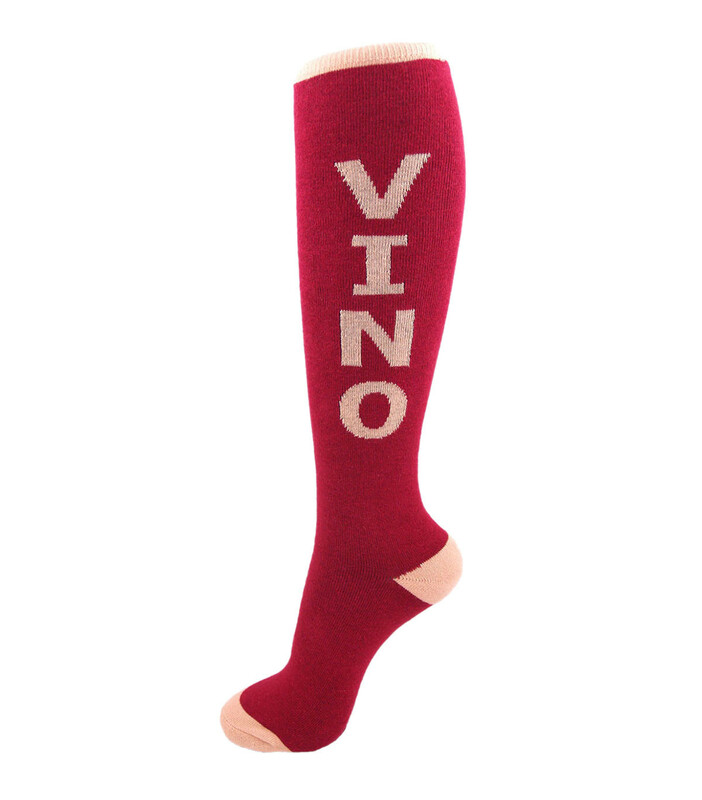 Anyone who likes to unwind with a glass of wine or two in the evening will love Vino Socks. It doesn’t matter if she prefers red or white, because these burgundy and tan socks pair beautifully with both. Vino Socks fit women’s shoe sizes 7 - 11 and men’s shoe sizes 7 - 13. They’re made from a 75% cotton, 20% nylon, 5% spandex blend.